It is everyone’s dream to have a smooth skin. This is due to the fact that having fairer and smoother skin can be attributed as “beauty” in its real sense. And since there are several ways on how to achieve this so-called goal, here are some ways that you can think of doing if you would like to have a smooth skin. Moisturize your skin with water. Water is still the heart of moisturizing your skin. No matter what kind of lotion you would like to apply to your skin, there is still a need for water. Taking a bath, wetting your skin when dry and soaking it when heated are ways to make use of this universal solvent a solution to your skin smoothing. Eat or apply fruits that are rich in natural enzymes that can moisturize skin. There are so many options for this. And to start with, you can try eating papaya that will provide papain necessary for healing wounds and similar condition. You can also try applying cucumber that has a cooling effect on the skin – tomatoes and lemon juice are also effective for the skin. 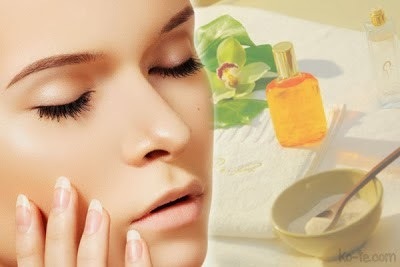 The oil effect.Oil is needed for the skin to look younger and moisturized. If we are going to look at biology, we can recall that our skin secretes oils necessary or several skin functions and that includes such. Have plenty of rest. Resting will help the skin reach its moisturizing potential. Have the advisable number of hours completed with your age when you sleep. Remember that sleeping can help boost the immune system and prevent stress, thus, giving you a younger looking and moisturized skin.